The taxpayers filed their tax return but owed around $10k. The taxpayers were married with two dependent children. Although the taxpayers were working they could only secure part time work currently. We were able to show the IRS that the taxpayers did not have the ability to make restitution at this time. In fact the client was living below the national poverty threshold thus being eligible for Currently Not Deductible, CNC, status. If the IRS grants you this status the service will not seek out any enforce collection s from you for a period of two years. After this time period lapses the service will then reevaluate the taxpayers financial condition to determine what collection actions are needed. The added benefit to the CNC status is the statute of limitations for collections still runs while in the CNC status. Many clients that used to own a small business owe payroll taxes and many owe Trust Fund taxes as well. Old payroll taxes that have been assessed to the responsible parties several years ago are the hardest cases to work. The tax debt is old and everyone is frustrated. Emotions run high and many times the taxpayer does not have the money to repay the debt. 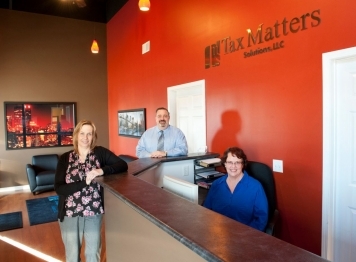 Tax Matters Solutions was hired by a client that owed Trust Fund taxes from several years ago. He has never financially recovered since the bank closed his business. He owes hundreds of thousands of dollars and has no hope of repaying. He wasn’t an Offer in Compromise candidate for a number of reasons. His financial position is bleak with very few options. Tax Matters Solutions presented his case to the IRS, and the Revenue Officer agreed to place the client’s account in a status called Currently Not Collectible.